We are very happy with the elevator installation, it is just what we needed. Everything looks and works great. Thanks to everyone at RAK for all the good work, it was a pleasure working with you. The OSD project was my first experience with RAK Construction, and I think I can safely say in all of my 37 years in facilities and construction, RAK Construction has been diligent and efficient on this project. Working with Bill and Randy has been wonderful. Bill was very good at communicating with us while he built out the space. I would like to thank you and your team on a successful project. I want to personally thank you Randy and your team for your outstanding efforts. I know you all had many roadblocks in your way on this one, but you managed to persevere and overcome all of them. Your team was and continues to be a pleasure to work with and truly understands the meaning of can do and customer satisfaction. I want to thank “RAK Construction” for all of the work that they allow me to do for them! What a great company to work for. 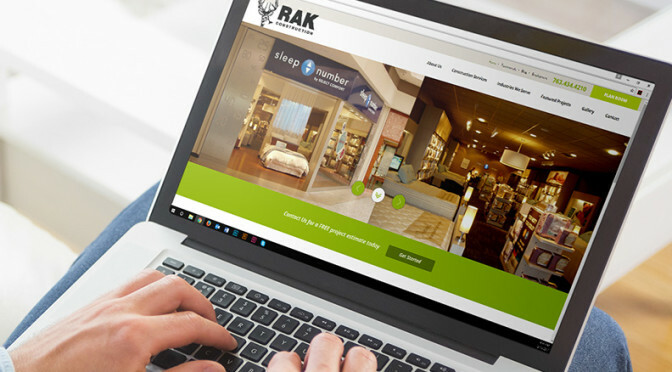 RAK’s efforts to control project cost and remain within the work scope helped me achieve my budget and project goals. You have shown a true desire to look out for my best interest in this project. You should be commended for your enthusiastic approach to the construction industry. We need more professionals like you. We've had a great summer filled with wonderful experiences working with RAK Construction at Four Seasons. Wanted to let you all know that workers were on-time, always left spaces cleaner than they found them, and all interactions were respectful and positive. It has been a pleasure to collaborate with RAK Construction around all of the facilities upgrades initiated mainly by our Fire Marshall Inspection. Thanks for supporting us so well through this partnership. I looked over the Parkway toilet room construction job today and it looks great! Thanks for doing a great job with the patching, tile work, and partitions. Very Nice Job!!! Thank you to everyone at RAK for your hard work and dedication to making this another successful project!! You and your crew have done amazingly this summer. Thanks for all of the effort in good communication and working with us on the special difficulties of working in schools!